The St. Peter Area Chamber of Commerce & Pulse Fitness present the 15th Annual St. Peter Halloween 5K Fun Run/Walk... Join us for Southern Minnesota's Largest and Fastest Parade of Costumes! 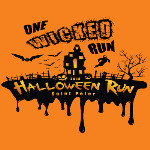 Show off your best costume and participate in this Chip Timed, Fun 5K as an individual or team. The Lil' Monster Dash also returns this year for the younger monsters among us. This is a day for the whole family! Entertainment, Music, Prizes, Awards.. Register Now! New Location and Course for 2018! Participants will be able to join and create teams using both the "Individual" and "Group" 5K Registration Types. A Minimum of (4) Team Members are required to be eligible for the Team Awards. No Maximum! All 5K Participants will be receive an Individual Time and be eligible for Individual Awards! Shirts are included with all registration fees! Check back for 2018 shirt design details! Sizes will not be collected and are not guaranteed during Late Registration. There will be a selection of shirts (First Come - First Serve) available to Late and Same Day Registrants at check-in. Awards and Results order will be based off of "Gun Time"
Individual (And Duo/Trio) Costume Awards! Team participants will also be eligible for Individual Awards! All registered participants are eligible! Prizes will be mailed to those unable to attend the post-race ceremony. The St. Peter Halloween 5K will be Chip Timed by Race Place Chip Timing. 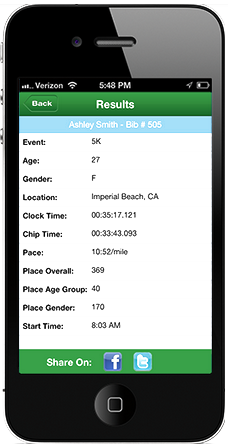 Results will be updated throughout the race and can be viewed immediately after crossing the finish line on tablet kiosks and a scrolling results screen. Search "St Peter Halloween 5K" to find our event! Gun and Chip times will be provided for timed participants. Awards and Results order will be determined by Gun Time. No Refunds. Substitutions may be considered upon request.